This is such a big and super important topic for everyone and anyone who wants to thrive in life + work. And even though most of us know that already, most people still struggle to make wellbeing a priority + focus + conscious effort in everyday life. No one ever died saying they wish they had spent more time working. What most people wish is that they had spent more time with the people they love. There's a common misconception that working all the time (aka: Workaholic) equals getting ahead in your career. There is a fine line between working hard out of love and passion for your work and being a workaholic. Is the time you’re spending at work interfering with other areas of your life? Is it hurting your relationships? Is the stress causing you physical or mental wellbeing problems? Here's the thing....when you're working on overdrive and a workaholic, it leads us to complete burnout and most probably misery. Most people who are workaholics don’t even realise it. Do you always work long hours? Do you struggle to stop thinking about work when you’re away from the office? Is work just a means to a paycheck? As with any addiction, the road to recovery starts with admitting you have a problem. Workaholism makes us feel important. We get noticed, we feel special, we believe that it will earn us a raise / promotion / some kind of distinction. 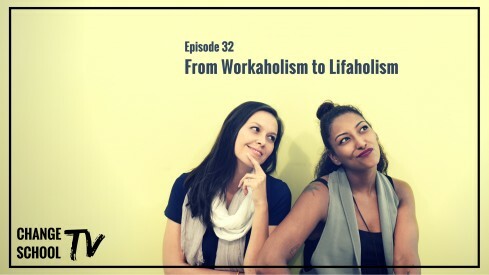 Workaholism distracts us from other problems in our life. It’s easier to immerse yourself in work and tasks than to deal with unhappy spouses / kids / other issues. Decide that your work is (a big) part of life, not the other way around. It’s something we always say at The Change School and it’s one of those things we always hear - and probably already know deep down, but when we look more carefully at our lives, we start to notice that our day-to-day attitudes + choices don’t always reflect this understanding. When we start to see that work is just one part of life, you realise that you also need to find satisfaction in your family, your leisure time, your community, your creativity, spirituality, or personal development. The road to recovery from Workaholism begins when you recognise that you are SO much more than your salary bracket, job title, key responsibilities, or the size of the team you manage at your company. WHAT DOES IT MEAN TO BE A LIFEAHOLIC? Wikipedia defines it as a person who is passionate about making the most of life. 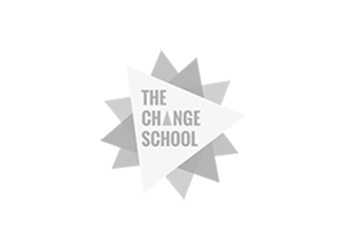 The Change School definition is, giving yourself permission to think + act in accordance with who you are and what you want… then being bold enough to go out there and create it. To do these things, you need to create OPPORTUNITIES to reflect, discover and create. To us, it’s the notion of freedom that social conditioning is slowly but surely ruining for us. It is precisely in those moments that you start to re-assess your life, the world around you, and choices you need to make. At The Change School, being a lifeaholic is recognising that in every moment of life we always have a choice…. How we’re spending our time. Who we’re spending it with. What we’re creating and sharing with others. We are all a work in progress (these are things we’re currently working on ourselves!). Growth - by getting out of our comfort zone, seeking out new and challenging experiences, learning new things, trying new things, and creating new things! Wellbeing - through self-love, self-care, indulging in our favourite creative activities, exercising, socialising, resting, taking time out for ourselves, nutrition, sleep … it’s not just about knowing these things but prioritising and implementing them. 1. Map out your LIFE Priorities. Take an honest look at how your daily choices currently reflect on what’s most important to you. Our Change Planner is the best tool to help! 2. Make a list of things to STOP, START and CONTINUE doing. Develop better routines / practices / rituals for different parts of your life - e.g. staying active, better self-care, social / play time, family time, hobbies, personal development etc. 3. Learn to create boundaries. Leave work at home. Surround yourself by other Lifeaholics. Learn to say NO - without feeling guilty, or the need to justify or explain why. If you don’t value your time, no one else will. 4. Always do the things that FULFILL you. Make time and manage your energy for the tasks, activities and people / relationships that make you feel good and do better. Learn to switch off and re-charge - and not just when you’re on holiday. It’s not just about escaping or checking out from your life, but taking time for yourself - to eat better, do more physical activities, get more rest… or do nothing!